Use Of The Death Penalty In U.S. Near A 25-Year Low, Report Finds : The Two-Way Executions of death row inmates occurred in only eight states in 2017 as public support for capital punishment wanes, according to an annual report by the Death Penalty Information Center. There were 23 executions in 2017, according to the Death Penalty Information Center. Over the past 25 years, only last year's total, 20, was lower. Including three pending cases, 39 death sentences are expected to be handed down this year, according to the DPIC, which tracks data about the death penalty and has criticized the practice of capital punishment in America. That's the second-lowest death sentence total in 45 years. Again, only 2016 saw fewer sentences, with 31. Peak years provide a stark contrast. In 1999, there were 98 executions. In 1996, there were 315 new death sentences. The continued trend of relatively low rates of executions and death sentencing comes as public support for the death penalty fell to its lowest level in 45 years, according to an October 2017 Gallup Poll, which found that 55 percent of Americans endorse capital punishment. The DPIC report says there is a strong geographical concentration in the use of the death penalty. Seventy-four percent of all executions in the U.S. took place in four states: Texas (7), Arkansas (4), Florida (3) and Alabama (3). The remainder were carried out in four other states: Ohio (2), Virginia (2), Georgia (1) and Missouri (1). You may remember that Arkansas sought to execute eight inmates earlier this year, over the course of just 11 days — which would have been a rate unprecedented in recent U.S. history, had it happened as planned. The state cited the pending expiration of its lethal injection drugs as the impetus for the fast pace of executions. But four of those scheduled executions were stayed. Across the country, more than 70 percent of scheduled executions were not carried out, whether because of exonerations, commutations or pardons, or because the executions were rescheduled. Four people on death row were exonerated this year, the DPIC report notes. Those cases "highlighted systemic problems of racial bias, flawed forensic testimony, inadequate access to quality representation, and prosecutorial misconduct," the report says. For instance, Rodricus Crawford was exonerated after he received a new trial, in part because the lead prosecutor in his original case had "unconstitutionally excluded black jurors on the basis of race." Other men were exonerated after trials that depended on circumstantial evidence or contradictory testimony, or after it was revealed that prosecutors had withheld exculpatory evidence. Examining the 23 executions that were carried out across the country, DPIC found "systemic problems" tied to concerns about whether inmates received adequate representation or fair judicial review. In 90 percent of the cases, the center wrote, there was "significant evidence of mental illness, intellectual disability, brain damage, severe trauma, and/or innocence." "As use of the death penalty dwindles, one might expect that the few cases that result in death sentences and the even fewer that result in executions would truly be the most egregious crimes and the most culpable offenders. But this year's events show once again that is not the case. Instead, states appear to be clinging to the death penalty by executing any prisoner unlucky enough to have reached the end of the appeals process without competent representation or rigorous judicial review and by doing so by any means at their disposal." 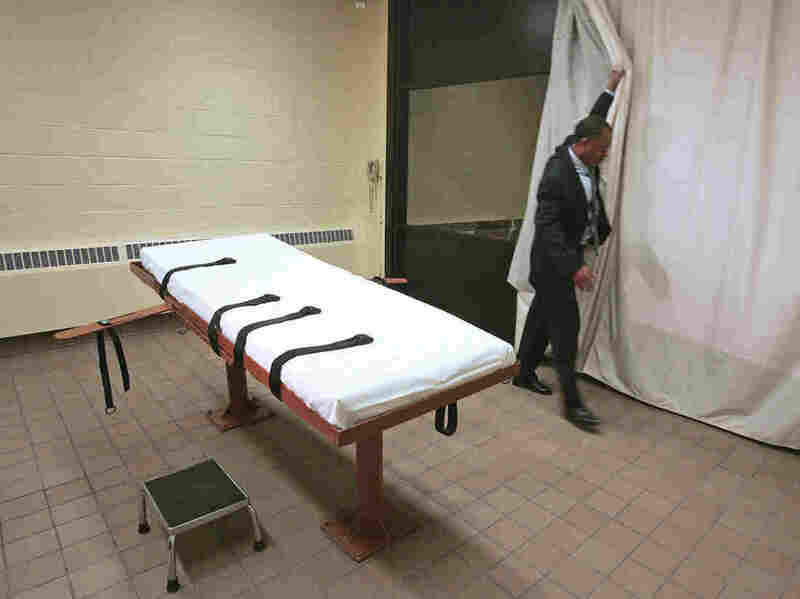 NPR's Rebecca Hersher, reporting on last year's report, noted some tensions in America's approach to the death penalty. "Death sentences and executions have been declining steadily since the mid-1990s," she wrote. "But 2016 also generated seemingly contradictory information about how the public views capital punishment. Even as jurors have increasingly voted for life in prison instead of execution, voters in three states rejected propositions that would have eliminated the death penalty." A decline in executions could be shaped by a number of factors. "Pharmacies are refusing to provide the deadly combinations of paralytics and fast-acting sedatives needed to put prisoners to death.
" 'I'll admit, it's more and more difficult to carry out the sentence of the death penalty,' says Republican Andy Gipson, chairman of the Mississippi House Judiciary B Committee. Mississippi hasn't executed anyone since 2012, but Gibson says that for the past six years lawmakers have had to tweak the state's death penalty statute to keep it constitutional.
" 'It's been a huge problem,' he says. 'We try to see if we can come up with another suitable formula of injection that will be humane, and then another lawsuit gets filed to say we can't do that either.' "
Mississippi is one of several states that are moving to permit "old-school execution methods," as Debbie puts it — like firing squads, gas chambers and the electric chair — to get around restrictions on lethal injection drugs.